BE ON VACATION EVERYDAY! 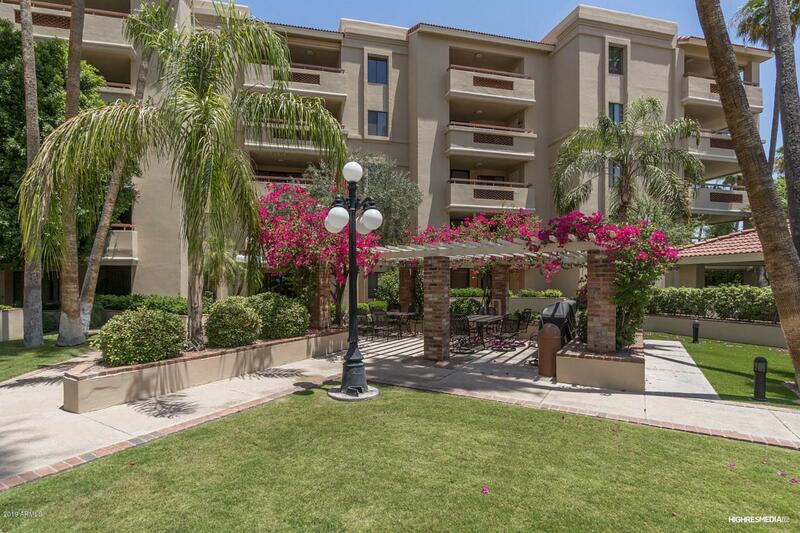 Luxury condo in heart of all things Old Town Scottsdale has to offer. 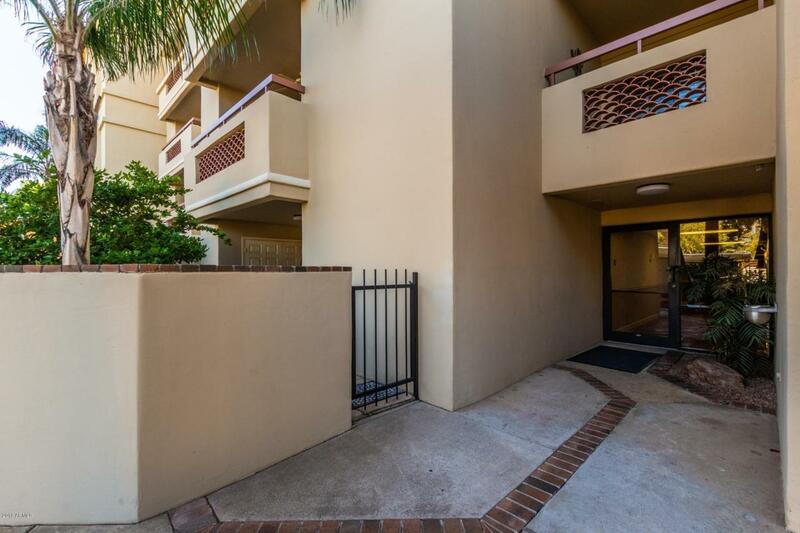 This 1 bed/1 bath north-facing ground floor unit lives large! Recessed lighting, oversized tile and plantation shutters throughout. Step out of living or master to a huge private flagstone patio. Full-sized washer/dryer space available off of patio. Kitchen w/ granite countertops, plenty of cabinets and pantry, newer appliances and a lovely breakfast bar open to dining area which opens up to the living area. Master bed and bath area quite spacious: walk-in closet, second closet and a linen closet. 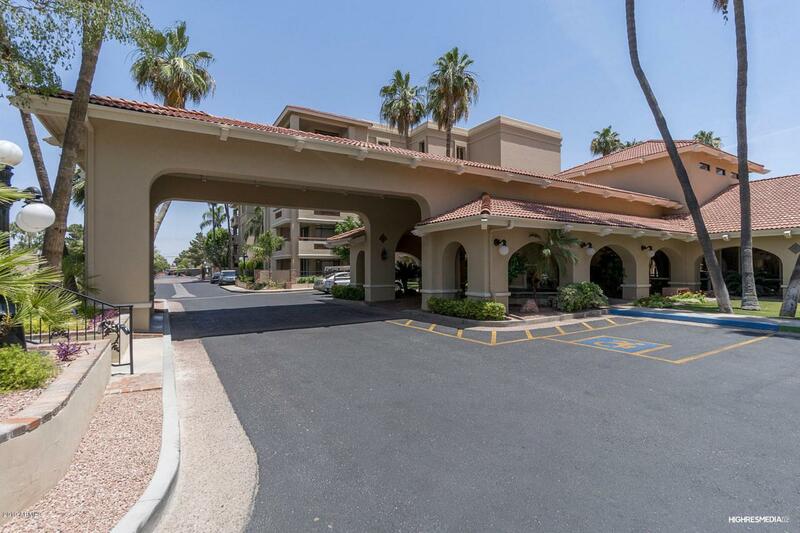 Community amenities include: concierge services, heated pool and spa, workout facility, billiards room, two libraries and other areas. 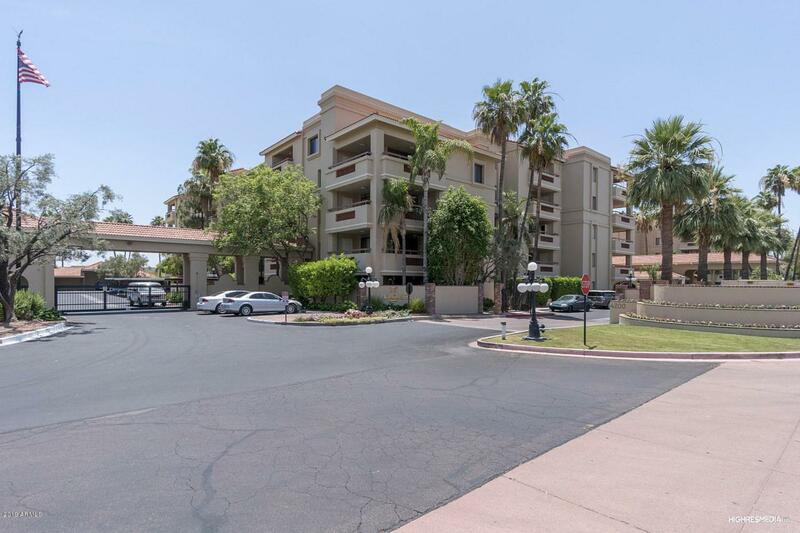 This condo is ideal as a full-time or seasonal home!